Keiko moved to Australia in 1999 and completed a Bachelor of Fine Art (Honours) degree in 2006 at the National Art School in Sydney. Her work begins on the potter’s wheel and is then manipulated, cut and reassembled to evoke a quiet and subtle abstraction. Making and reinterpreting objects is her focus. 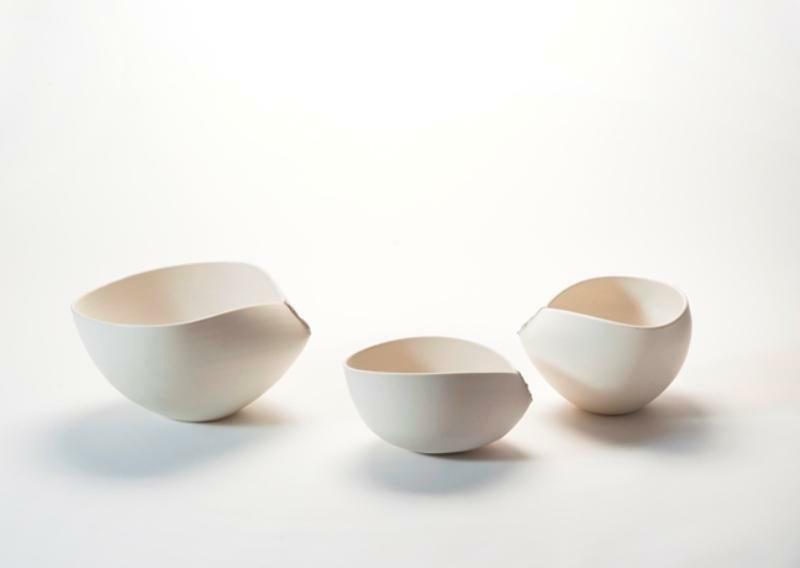 She pays particular attention to the form and proportion, the profile or outline of a vessel and the interconnectedness between the interior and exterior. 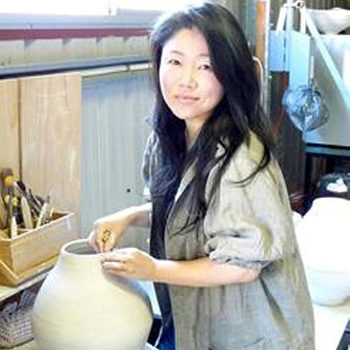 Keiko has been teaching ceramics to adults and children since her graduation. Currently, she teaches ceramic in general at Hornsby TAFE as well as conducting her own workshop in Sydney and Central Coast occasionally. She learnt the Japanese ceramic repair technique called Kintsugi in Japan and encourages Australian people to do Kintsugi repair for their precious ceramics between her practice. She lives and works her own studio in Umina Beach, Central Coast.